Mike Agee has a history of building successful radio stations. Now as general manager of 88.3 The Journey, a new challenge is before him. The Journey is in the Dallas-Ft Worth market, the fifth-largest radio market in the United States. It’s not an easy thing for new radio stations to convince listeners to change their habits. Yet 88.3 The Journey seems to be doing just that. Southwestern Adventist University has had its own radio station since 1974. Bob Mendenhall, professor of communication, applied for a FM frequency and KSUC was born. The goal of KSUC was to train Christian broadcasters, represent Southwestern to the community, and spread the gospel of Christ. KSUC became KJCR in 1984. In 1998, Glen Robinson took the job of manager and continued in the post until 2004, when he passed the job to Randy Yates. The radio station received a significant blow in September 2009 when lightning caught fire in the attic. Smoke and heat destroyed all the equipment. While the fire caused much destruction, it also created opportunity. Southwestern saw the opportunity to completely recreate the station from the floor up, and took it. 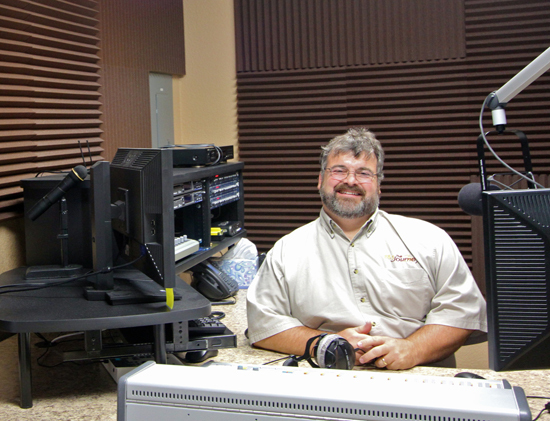 Mike Agee was invited to manage the new radio station. He has spent over 30 years in professional radio. Twenty of those years he managed KTSY, a Christian radio station in Idaho. KTSY is one of the top Christian radio stations in the United States. It won three Dove Awards, was a top-10 station in its market, and was consistently ranking first and second in the market for the demographic of women age 25-52. KJCR went off the air in May 2010 and the station was completely remodeled. It took five months, but by Monday, Nov. 1, 88.3 The Journey was ready to go on air. It has now been running for a little over a year and has gathered more listeners than the station has ever had in its past. As of October, the station averages about 41,500 listeners per week. These numbers are taken from Arbitron, the largest radio station ratings company in the United States. Normally, a small non-commercial radio station, especially in this large of a market, would be lucky to appear in the Arbitron ratings at all. Since this September, 88.3 Journey has gathered enough listeners to appear in monthly ratings.